Gen. Ben Hodges, Commander of the United States Army Europe, said that a heavy armored brigade will be deployed to Poland in February and a combat aviation brigade in spring 2017. In an interview with Radio Poland, the general outlined NATO plans to boost its presence in Eastern Europe as it was agreed during the summit in Warsaw. First of all, the measures include an enhanced forward presence (EFP) as well as Washington’s commitment to provide an armored brigade combat team. "This brigade will arrive from Fort Carson, Colorado to the port of Bremerhaven, Germany, in the middle of January. Then it will move quickly, as part of an exercise, into western Poland. By the middle of February, the whole brigade will be there, going through what we call RSOI – reception, staging, onward movement and integration. Once they’ve completed the process the brigade will begin a nine month rotation. Part of it will be in the Baltic countries, part of it will be in Romania and Bulgaria, but the bulk of it will remain in Poland," Gen. Hodges said. 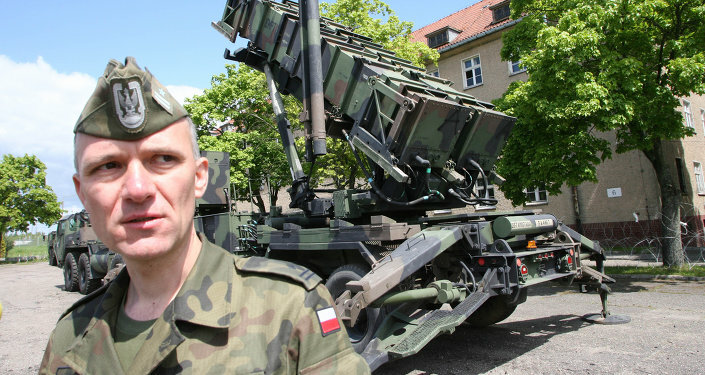 According to him, the brigade will be stationed in Poland because the country is an ideal location to be able to "move north and move south." He added that in late spring, probably March-April, a combat aviation brigade will be deployed at the Powidz airbase, in west-central Poland. As for an EFP, the US will provide a Stryker squadron which will be based in Germany. "This will be an excellent unit. They’ve already begun their training program to prepare for this mission," the general said. In addition, an EFP battalion will arrive in April and by the end of April it will be fully operational capable. The unit will be under a NATO operational control status, according to the commander. 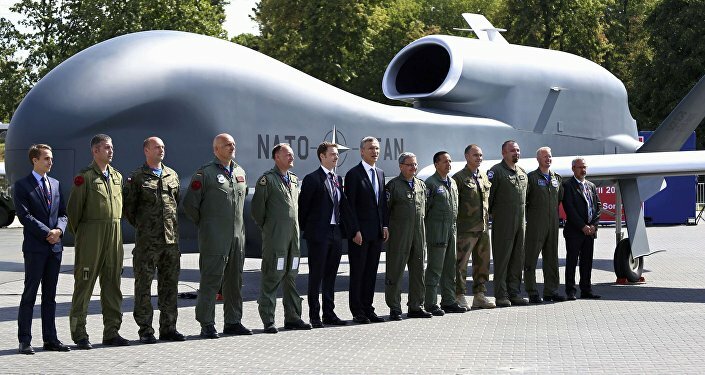 In recent years, Warsaw, one of the closest US allies in Eastern Europe, has been a strong supporter of NATO’s enhanced military presence in Eastern Europe. After Crimea’s reunification with Russia and the beginning of the eastern Ukrainian conflict, a "Russian threat" has been one the key points in Warsaw’s rhetoric towards Moscow, aimed at justifying NATO’s expansion in the region. Citing the "Russian threat," the Polish Defense Ministry is set to spend billions on its own military modernization. In particular, speaking at a conference in April, Polish Foreign Minister Witold Waszczykowski claimed that Russia is an "existential threat" to Poland. However, the Russian government and many analysts have repeatedly said this "threat" is imaginary and Moscow has no plans to invade Poland. "These men (Polish warmongering politicians) are out and out Russophobes with a deformed imagination who see a 'Russian threat' behind every corner…Their antics are necessary to divert the attention of ordinary Poles from an economic policy which hasn't been all that successful, and so that the EU and NATO might give Poland extra money," political analyst Vadim Trukhachev told the Russian online publication Svobodnaya Pressa. During the 2016 Warsaw Summit of NATO, Secretary General Jens Stoltenberg said that the alliance will strengthen its eastern flank in Poland and the Baltics with four additional battalions in 2017. The Kremlin described the decision as a violation of the basic principle in NATO-Russia relations. In response, Russia announced the establishment of three new divisions, each comprising nearly 10,000 personnel. They will be deployed along Russia’s western border.